Taking a road trip or going camping doesn’t mean your family needs to subsist on gas station burritos or soggy sandwiches dredged from the bottom of a cooler. 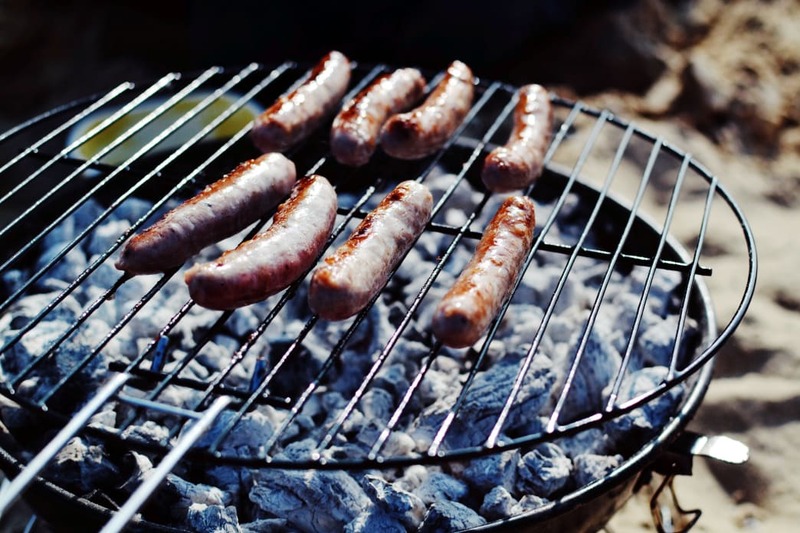 Chances are your RV, campsite, or KOA cabin has at least one of the following: a range top, grill, or campfire ring. 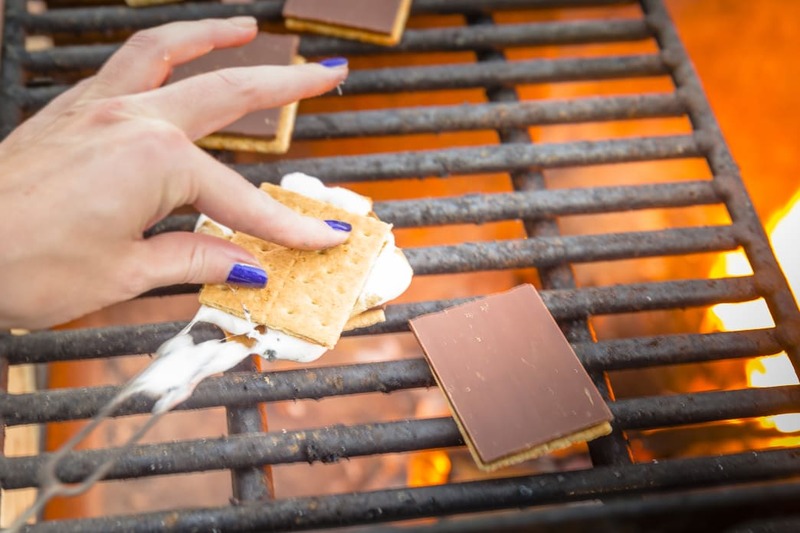 With any of those options, you can get creative with outdoorsy updates to at-home classic dishes, or experiment with something new around the campfire (s’mores bar, anyone?). Here are 10 fun, simple, and delicious recipes guaranteed to keep bellies full and everyone happy during your next road trip or camping excursion. Let’s get cookin’! Instructions: Rehydrate hash browns. Grease cooking surface, add ground sausage and diced green pepper; cook thoroughly before moving to the side. Scramble eggs in a separate bowl. Add hash browns and eggs. Cook thoroughly, then combine everything and heat for another few minutes. You can also top with cheese. Instructions: The options are completely customizable! Cut 3/4-inch slices of watermelon into triangles. Cover slices with a thin layer of yogurt (Greek yogurt works great), then sprinkle with each person’s favorite combo of berries, granola, or dried fruit. Finish the “pizza” slices with a drizzle of honey. Instructions: Before leaving on your trip, fill a mason jar halfway with pancake mix and assorted mix-ins such as chocolate chips, dried fruit, or almond slices. On the road, simply add water to your desired consistency (thicker batter means thicker pancakes), shake everything up, and pour the batter in small batches onto a preheated and greased pan or griddle. Instructions: Each serving gets its own foil packet. Divide zucchini and asparagus on sheets of foil. Place one chicken breast on each. Brush teriyaki sauce over each chicken breast, and drizzle with olive oil. Seal each packet (double up on foil for stability, or use thick foil), and grill over medium-high heat for 20-25 minutes or until a meat thermometer reads 165. Instructions: Cut potatoes and sausage into bite-size pieces. Season with spices and divide evenly into foil packets—one per person. Drizzle with olive oil, then seal the packets tightly. Tuck into hot campfire embers or over a grill on medium-high heat until potatoes are tender, about 20-30 minutes. Instructions: Prep the marinade at home by combining soy sauce, brown sugar, sesame oil, and minced garlic in a jar. At camp, cut chicken and red pepper into even pieces. Soak in the marinade for 15-20 minutes, then thread onto skewers along with the pineapple slices, alternating each ingredient. Grill 15 minutes over medium-high heat, turning occasionally. Instructions: Another foil packet recipe winner. Prepare sandwiches as you would at home, then tightly wrap in foil and tuck into dying embers. Sandwiches should be heated through and the cheese melted in 10-15 minutes. Instructions: At home, premix cinnamon and sugar in a Ziploc bag. At camp, slice biscuits in 1/4-inch wedges, add to sugar mixture. Shake until well coated. Press coated biscuit pieces into a dutch oven or cast-iron skillet, then evenly distribute butter pieces over the mix. Cover tightly with dutch oven lid or several layers of foil. Bake in hot coals 10-20 minutes. Instructions: Mix dehydrated milk powder with water; add cocoa powder according to package instructions. Stir into a saucepan over medium heat, being careful not to scald the milk. Add vanilla, cinnamon, and cayenne to taste. Ingredients: Graham crackers, chocolate, marshmallows for the base. Extra fun mix-ups include peanut butter, jam, Oreos, caramel candies, and Reeses. Instructions: You know the drill. Set up your s’mores bar, find a good pocket of heat in the campfire, and experiment with any combination of ingredients you can think of! Written by Matcha for Kampgrounds of America.